Guo Mingyi, a seemingly or­dinary chinese man has sup­ported the schooling of more than 180 impoverished students with his mod­est income. He also initiated a “caring group” that has motivated thousands of people to engage in charitable deeds, earning him the titles “A Good Man in China” and the “Successor to Lei Feng” in the contemporary era. 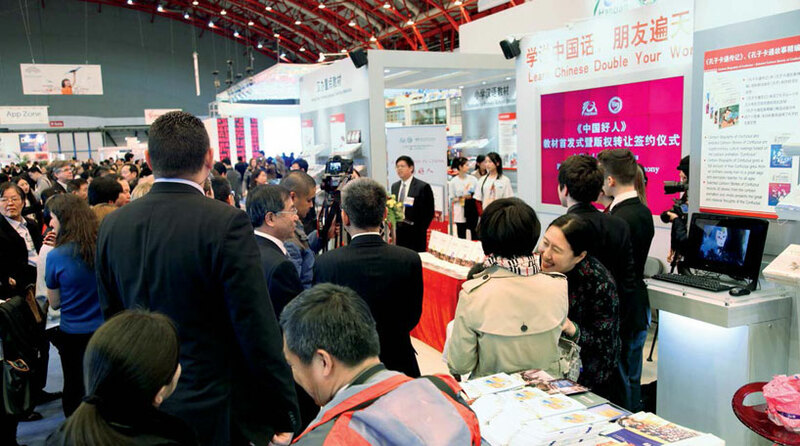 At the launch and copy­right signing ceremony of the paper and audio-video book titled A Good Man in China for Chinese language teaching that took place on the first day of the London Book Fair, which opened on April 16, the stories of Guo Mingyi, a good man, touched everyone present. widely welcomed by foreign friends. This “good man in China”, who was highly commended by Professor Michael Hoey, is a household name in his motherland. As an ordinary administrator working at the quarry highway of the Anshan Iron and Steel Group Corporation (“Ansteel”), he was granted on March 2 this year the title “Contemporary Lei Feng” by the Chinese government, the ultimate recognition of one’s morality. 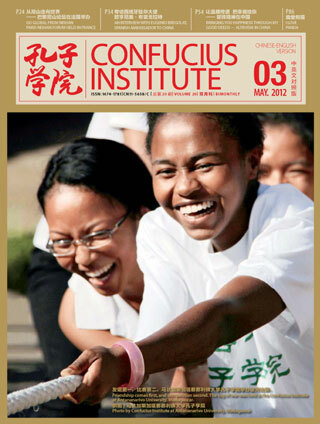 March also marks the annual “Learning from Comrade Lei Feng” month for Chi­nese people across the country. Like all manual laborers, Guo Mingyi has sun-tanned skin and coarse palms due to hard labor, and always wears a piece of simple, grey uniform, and displays bright and hon­est smiles. 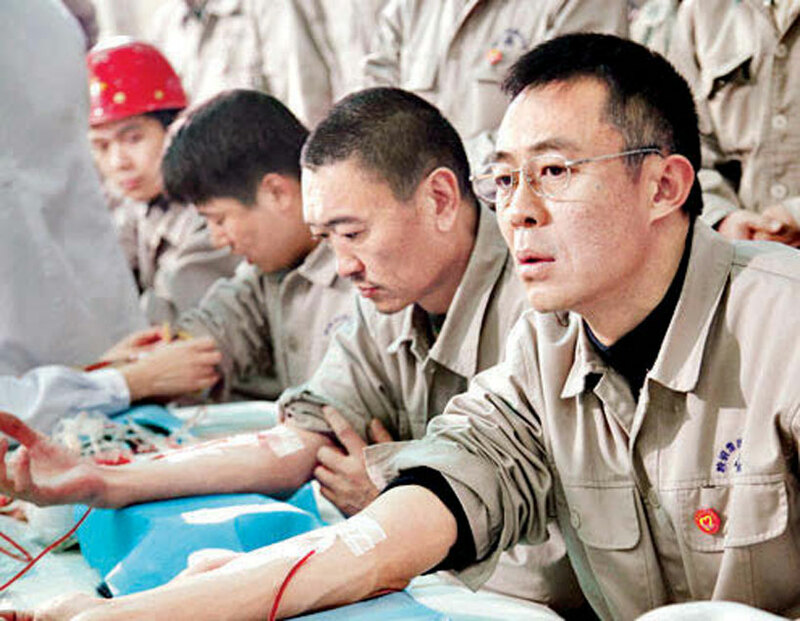 However, this seemingly or­dinary man from northern China has, over the past two decades, donated 60,000 milliliters of blood and sup­ported the schooling of more than 180 impoverished students with his mod­est income. He also initiated a “caring group” that has motivated thousands of people to engage in charitable deeds, earning him the titles “A Good Man in China” and the “Successor to Lei Feng” in the contemporary era. No one would hesitate to hold up their thumbs whenever his name is mentioned. After learning that the daughter of his colleague Zhang Guo-bin was diagnosed with leukemia in 2006, Guo Mingyi rushed to the hos­pital to see the child and left 200 yuan as support. Knowing that the child could be saved as long as matching hematopoietic stem cells were avail­able, he called on all the offices and more than 70 shifts at the mine, and went to the city’s traffic information broadcasting station to help search for the cells in the entire city of Anshan. Inspired by his relentless efforts, more than 1,300 people, among whom he was one of the earliest donors, donated hematopoietic stem cells. 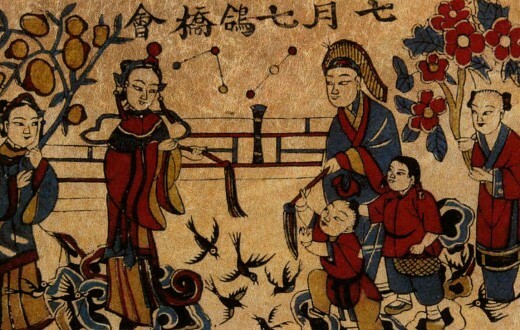 Eventually and fortunately, the proper match for Zhang Guobin’s daughter was found. Guo Mingyi is always willing to help others. He not only provided financial aid to poor students, and initiated a “caring group” to engage in philanthropic activities, but also donated 60,000 milliliters of blood over the past 20 years. Apart from being ever-helpful, he also takes his work very seriously. He set the annual single-truck output record when working as a truck driver of Ansteel; and was the first to obtain a qualification certificate when serv­ing as a workshop statistician. When the company faced a critical shortage of English-speaking talents in 1992, Guo Mingyi, who couldn’t tell A from B before, was admitted to an English crash course through self-learning, and was commended by foreign experts for his performance when he acted as an English interpreter plus driver at the assembling site of big-size and motor-driven ore transportation trucks one year later. During the 16 years when he worked as a highway administrator for the mine, he worked overtime for 15,000 hours totally, which is equiva­lent to 5 years of extra work. Still from the film ‘Guo Mingyi’. 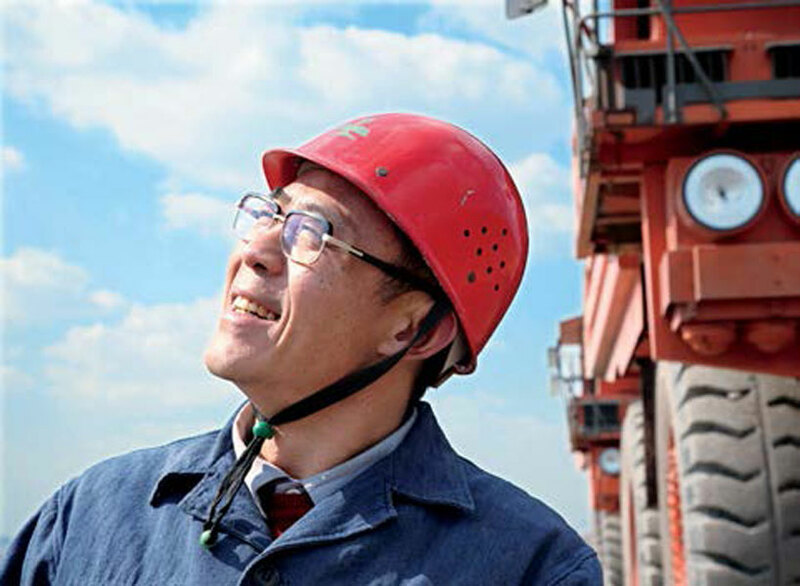 According to his superiors, Guo Mingyi has been committed to what­ever is assigned to him and bears all hardships without complaining over the 30 years of working at Ansteel. To his fellow workers, Guo Mingyi is an inflexible person who never gives any thought to himself other than the job and his fellowmen. To his friends, he is a person who always thinks about what he could give to others. He is always asking himself: what more can I give! “I did what I was supposed to do.” Guo Mingyi remains calm when peo­ple praise him. 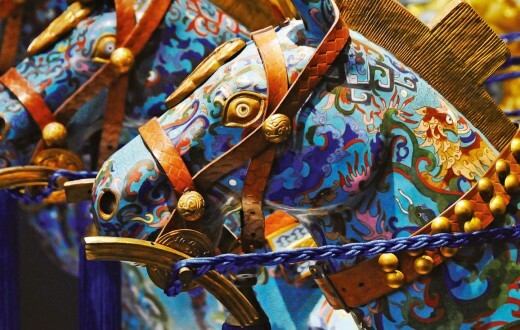 “Lei Feng has been my model ever since my childhood. To be his ‘successor’, I am supposed to do everything that benefits the society and the people,” he said. Guo Mingyi’s aspiration and phi­losophy is to be the “successor of Lei Feng”, a pursuit shared by many people in China. Everybody in China knows about Lei Feng, who was an ordinary Chinese solider born in the 1940s, had helped countless people in his short life of 22 years that turned into an epic ode of life. 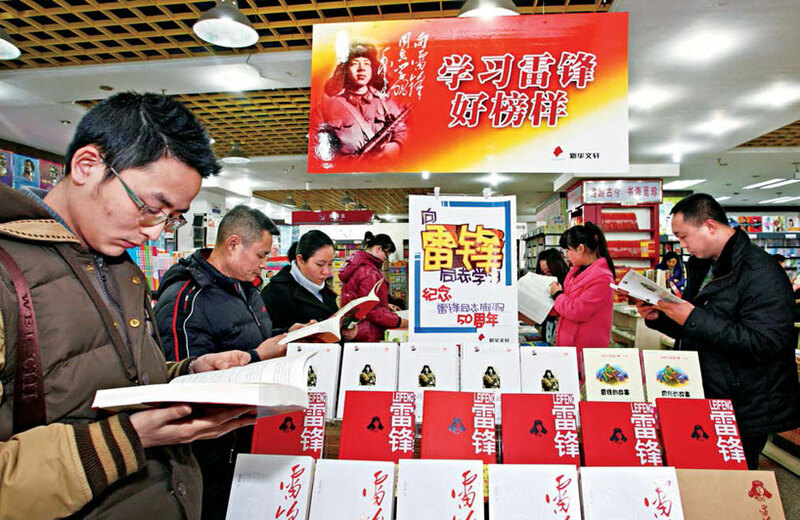 Books about Lei Feng sell like hot cakes. Lei Feng died on his job in August, 1962. On March 5 in the second year after his passing away, Chairman Mao Zedong personally inked the inscrip­tion, “Learn from Comrade Lei Feng”. 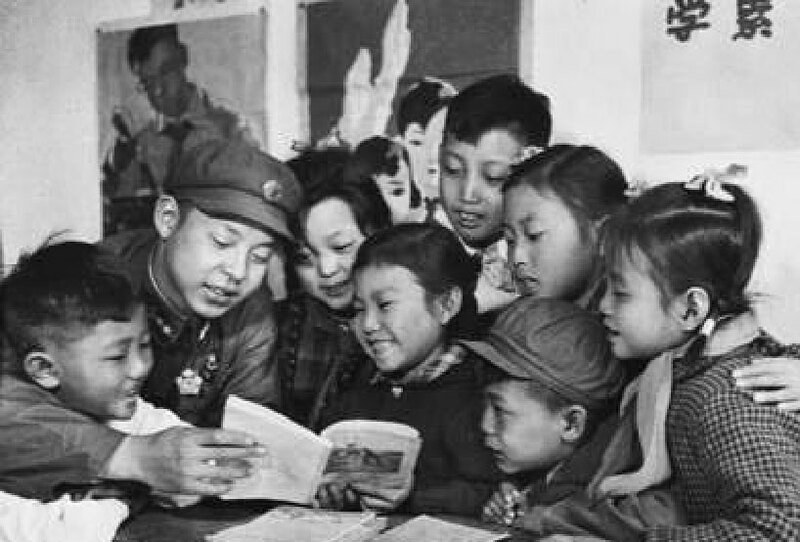 Hence, the passion to learn from Lei Feng has been sparked across China, and every March 5 is set as the com­memorative day for “learning from Lei Feng”. For half a century, Lei Feng has been a moral icon and an example to learn for generations of Chinese peo­ple. 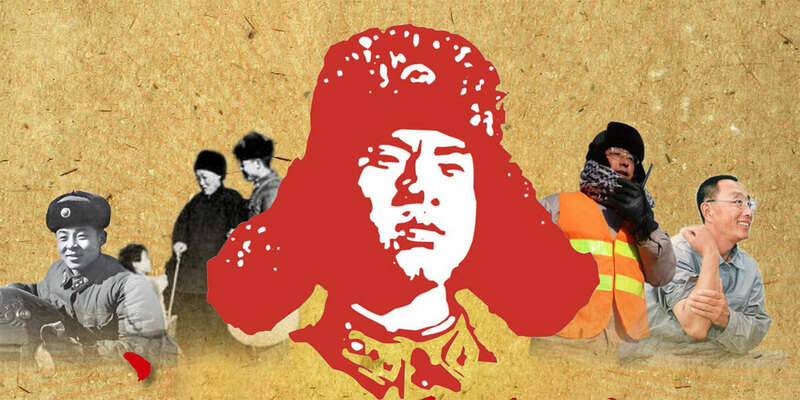 People nationwide would act and perform good deeds every spring to reenact Lei Feng’s selfless practices. In the city of Fushun, Liaoning Province alone, where Lei Feng once worked, there are more than 40,000 groups for “learning from Lei Feng”. 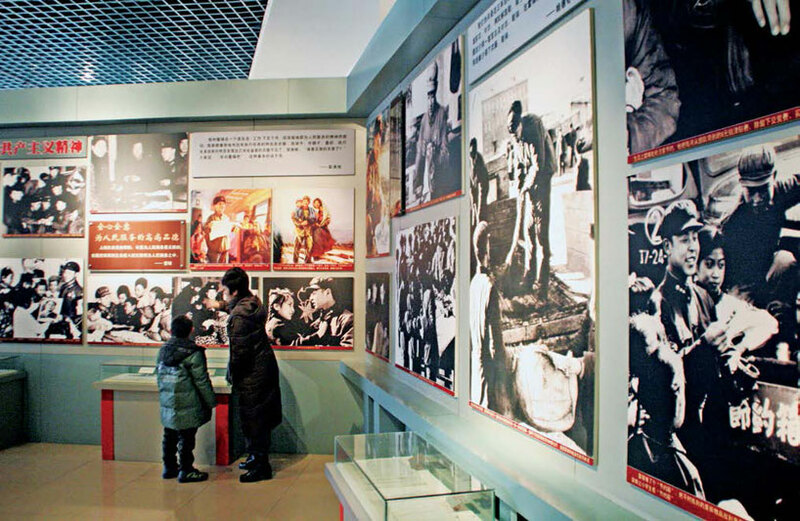 In Beijing, the capital city, young people are eager to register themselves as volunteers to “learn from Lei Feng”. In Changsha, Hunan Province, “This is what I am supposed to do” has become a catch sentence. Lei Feng’s handwritten diary has been reprinted many times and distributed in countless numbers. For over half a century, Lei Feng Spirit has been passed down from generation to generation in China. 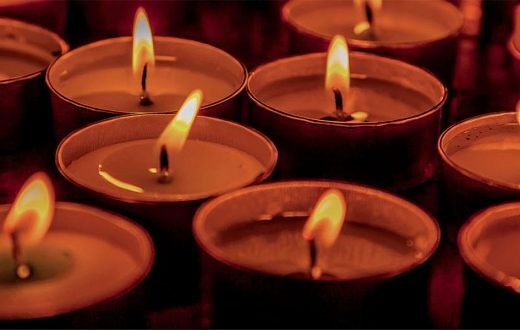 Zhang Guobin’s words resonate in the hearts of many. Learning from Lei Feng may be embodied just by any daily choice or any common act of persistence, like finding a seat for a kid or sending 20 yuan to a fellow soldier’s father, behaviors that can take us closer to the great soul. The stories of Guo Mingyi were made into a movie in 2011 so that more people could get to know him through the silver screen. One of the moviegoers said, “I cried for at least 30 minutes during the 95 min­utes of the movie”. 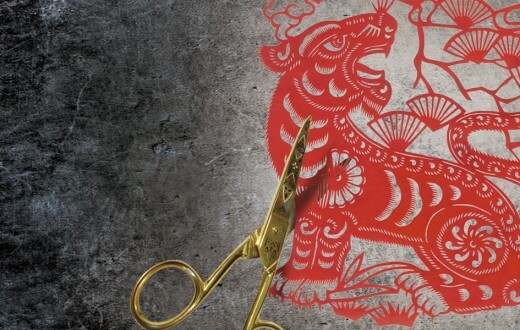 In Liaoning Province, the home­town of the two moral icons Lei Feng and Guo Mingyi, the stories of Guo Mingyi were made into a movie in 2011 so that more people could get to know him through the silver screen. One of the moviegoers said, “I cried for at least 30 minutes during the 95 min­utes of the movie”. Zhang Jiang, mem­ber of the CPC Standing Committee and head of the Publicity Department of Liaoning Province stated that Guo Mingyi is the representative of the billions of ordinary contemporary Chinese people, and that his devotion to his job, his willingness to serve the society, and his efforts to be the inheri­tor of traditional Chinese virtues are worth learning from. The exemplary effects of Guo Mingyi as a moral icon are also spread through the internet, dramas and books. Today, the number of his microblog fans has topped 6.5 million. According to a comment by one of his “fans”, the traditional virtues and Zeitgeists embodied in Lei Feng have helped to build the spiritual skyline of our society from a social perspective; while from a personal perspective, his short life kindled a kind of “moral drive”, through which we could cali­brate the course of our heart’s voyage towards a more meaningful life. Lei Feng belongs to China and to the world as well. Lei Feng’s practices have touched China and tens of thousands of people around the world as well. Young people wearing T-shirts fea­turing the head portrait of Lei Feng and helping people with joy are fre­quently spotted on the streets of Stock­holm, Sweden. 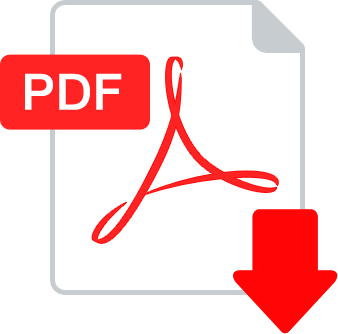 The Thai government once published Lei Feng brochures to call on the citizens to learn from him, and contribute more to the country and the society. The United States Military Academy at West Point also has the portrait of Lei Feng on a wall as an example for the soldiers. Max, a student at the School of Oriental and African Studies, University of London, thinks that although people in China and the UK may hold different views on many things, they share some of the general moral standards. Despite the fact that Lei Feng and Guo Mingyi lived in different eras, their altruistic characters are admired by all. 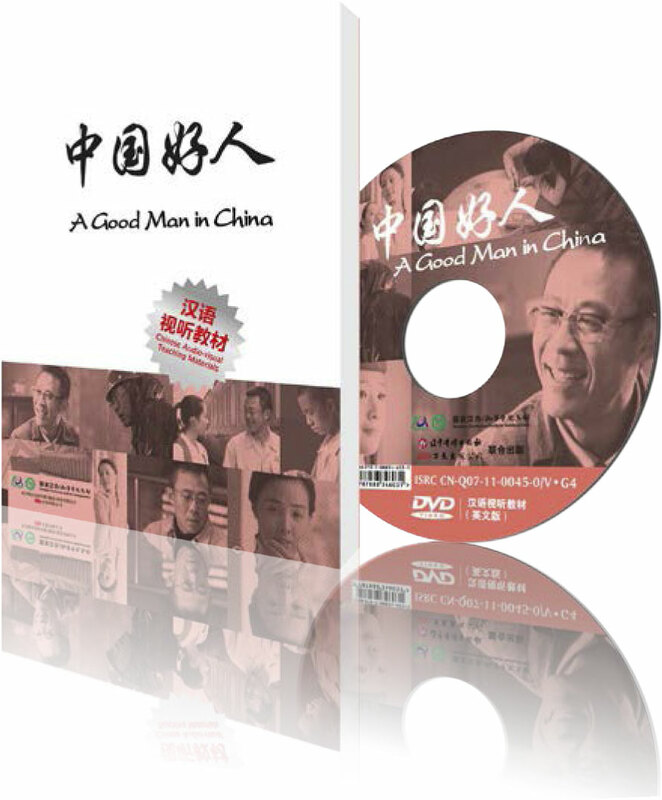 The paper and audio-video book titled A Good Man in China for Chinese language teaching co-developed by Hanban and Northern United Publishing & Media (Group) Co., Ltd. and adapted from a film titled Guo Mingyi, was launched at the London Book Fair. It was warmly received by readers.  According to a young fellow who once lived abroad and is now devoted to being a volunteer for “Learning from Lei Feng” in China, Lei Feng’s practices in China do not conflict with the voluntarism in other countries, and they even overlap in some aspects. In essence, both are altruisms recognized and promoted throughout history. Every era needs its Lei Feng spirit. The reason we learn from Lei Feng and from Guo Mingyi today is that we want to become citizens with spirit of voluntarism who refuse to ignore other people’s crises. “If you were a drop of water, have you nurtured an inch of land? If you were a ray of sunshine, have you illu­minated a spot in darkness? If you were a grain of food, have you fed any use­ful life? 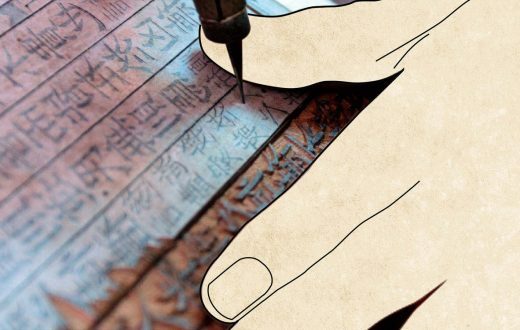 If you were the smallest screw, would you always stay on the post of your life?” This is Guo Mingyi’s fa­vorite quote from Lei Feng’s Diary. Lei Feng’s era may have passed, but his practices continue to release inspiring strength over the years and motivate more people to drop their indifference and show their support. Lei Feng’s era may have passed, but his practices continue to release inspiring strength over the years and motivate more people to drop their indifference and show their support. Lei Feng’s Diary has been declared as the “manifesto that has inf luenced Chinese people for half a century” and Lei Feng is named one of the “top 10 cultural icons of China in the 20th century”. Whilst the “Learn from Lei Feng” campaign has steered the social trend for decades, the moral examples of “contemporary Lei Feng” represent­ed by Guo Mingyi will keep emerging.